Timeless modern swivel chair with comfortable leather upholstery. 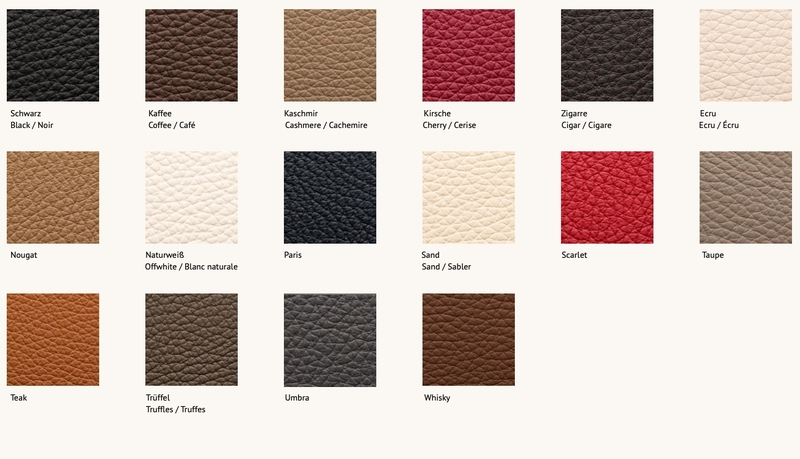 Upholstery leather Living (lightly pigmented, particularly hard-wearing, less sensitive to himidity, staines and light exposure). The DS-31 model series is one of the classics of our manufacture, combining design, craftsmanship and leather expertise to create a timeless, beautiful upholstered model. 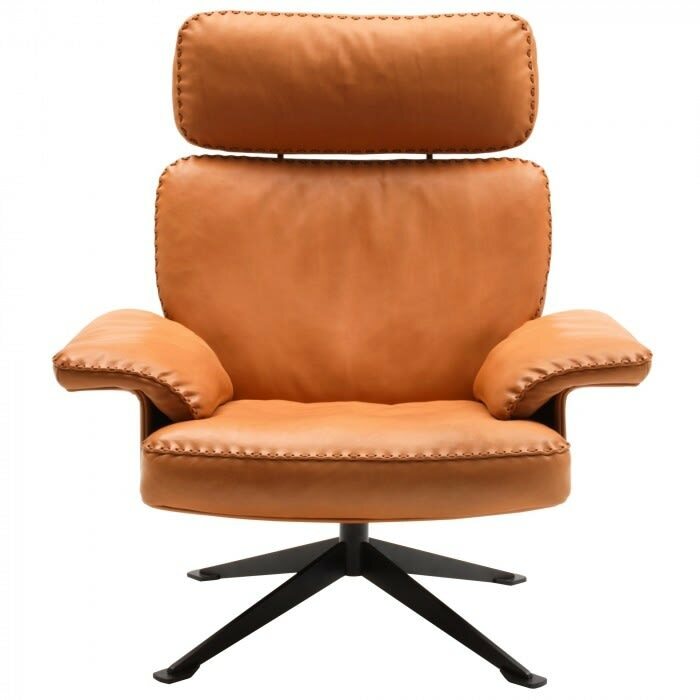 The design gives a light appearance: back and seat cushions lie on a thin, wooden structure covered in leather, which in turn is supported by a slim foot. The second virtue, the craftsmanship, is seen in the hand-stitched strap seams, which are artistically attached to the upholstery edges and armrests. The leather expertise reveals itself in the generous upholstery, inviting you to sit comfortably and linger that extra bit longer. A special detail is the positioning of the armrests: reminiscent of a curved musical note, they give the DS-31 series an unmistakable character. Anyone looking for a timeless classic combined with an unsurpassed distinctiveness will find it here. these objects tell stories from life: about dreams and wellbeing. Do you have a question about "DS-31/111"? How can we contact you?